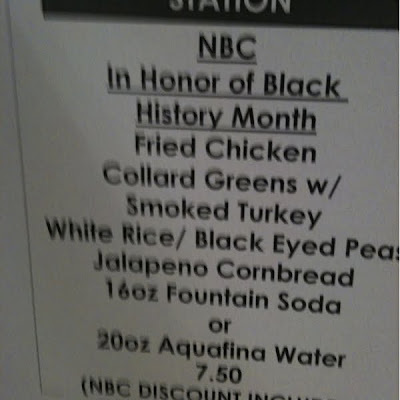 The picture above was posted by The Root's Questlove from the NBC Universal cafeteria. I mean did the watermelon for dessert just not make it into the image because I really think that's all that's missing. 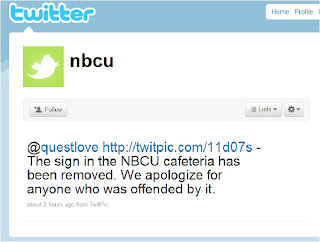 Updated: NBC Universal has removed the sign and tweeted an apology.